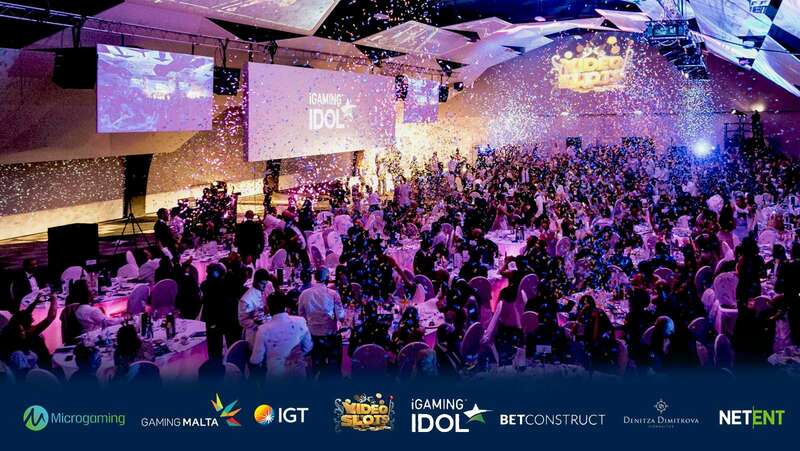 Last week the 3rd annual iGaming Idol took place in Malta, a unique “Oscars-style” awards celebration highlighting incredible iGaming industry talent. 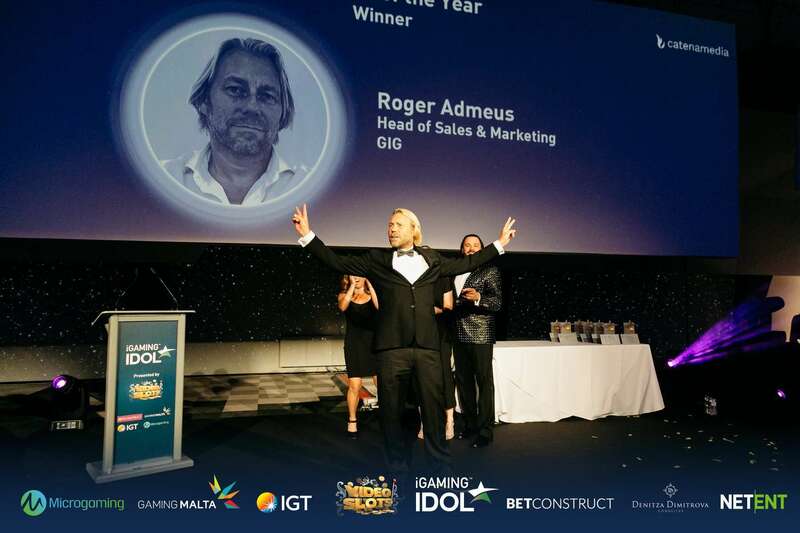 We have a number of iGaming industry awards ceremonies taking place throughout the year and iGaming Idol always been extra special to me for two reasons in particular. First of all, the focus of the awards is on people (as opposed to companies) and my greatest love on this planet is people and seeing people happy. Second of all, I’ve had the pleasure of hosting the awards each year with Michael Caselli and therefore have a first-hand understanding of just how much work goes into this one particular evening of recognition. 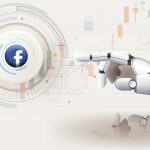 If we start from the beginning, the concept of iGaming Idol is the brainchild of Michael Pedersen and Ramona Mifsud, an idea that was conceived in 2016 and born four months later. “iGaming Idol was originally my idea and came about as my wife and I were flicking through the TV channels and coincidentally came across a program on BBC called ‘Phone Idol’, which was an award show for phone sales people in the UK. 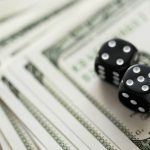 I told my wife, ‘I think this concept would be fantastic for the iGaming industry’, she agreed and that’s how it all began”, shared iGaming Idol’s CEO Michael Pedersen. 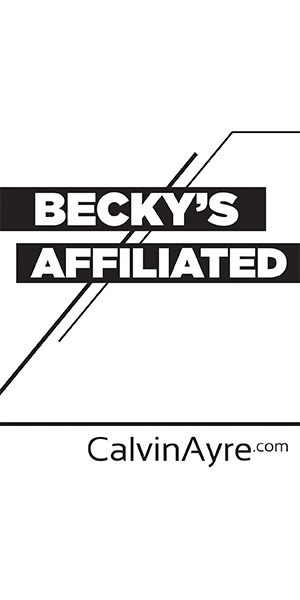 “I have been involved in organizing iGaming events since 2008. 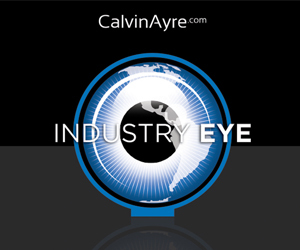 There is big talent in the iGaming Industry and it should always be recognized. That is how the idea of iGaming Idol was born. I then met Michael Pedersen at another event and he had a similar idea. A week later we started putting our idea together and within 4 months we launched iGaming Idol 2016. We have not looked back ever since”, shared Ramona Mifsud, iGaming Idol’s Founding Partner. In the course of just three years, iGaming Idol as a stand-alone event has more than doubled in size and the brand name is now reaching far beyond Malta, attracting guests and nominations from outside the island. “It’s been an absolutely amazing journey over the past three years. 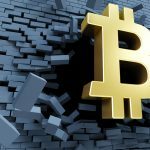 It was clear that we had identified a gap in the industry and everyone has supported the initiative immensely from the very beginning”, Pedersen said. 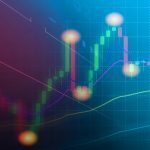 “iGaming Idol has seen a steady growth throughout the past three years. 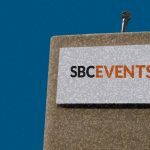 Growing from an annual event of 200 people to an all year-round event with 520 people attending the main event. We are no longer just an award show but the ambassadors to all employees in iGaming”, Mifsud explained. “Under the iGaming Idol umbrella we have in 2018 successfully hosted 6 networking and charity fundraisers as well as moved to our new and bigger home at the Intercontinental Bay Area. We raised more than €20.000 for the Malta Community Chest Fund this year, which it’s a great achievement as well and will surely make a big difference to people in need here in Malta”, added Pedersen. What many people don’t realize is the massive amount of work that goes on behind the scenes to make the iGaming Idol awards a success each year. One evening of fun takes one year to prepare! “iGaming Idol is an all year-round event. We never stop. Our aim is to keep the brand alive all by sponsoring and/or attending other gaming events. Along the year we also host a number of networking events. We also hold bi-monthly HR Forums only for HR managers within the iGaming Industry via iGaming Idol’s daughter brand HR Connect. Gerda Kacileviciute, our event manager, works full time at iGaming Idol and the partners put in a substantial amount of hours to make all this happen”, Mifsud explained. “I joined iGaming Idol family last November and since then I live and breathe iGaming Idol every day. We have already started preparing for iGaming Idol 2019- it takes a year to organise the awards and our team of 10 people are working on this project. iGaming Idol will continue to be a positive force within the industry”, Kacileviciute shared. After the success of iGaming Idol’s 2018 edition, its clear the industry looks forward to what Mifsud, Pedersen, Kacileviciute and team have cooking for 2019. In addition to adding more networking events under the iGaming Idol brand, a major goal of the team is to welcome an even more international crowd to the awards themselves. “One of our key goals for 2019 is to continue increasing the international attendance in iGaming Idol. Let’s make it very clear, iGaming Idol is an award show for the entire industry globally, not only for the companies based in Malta – everyone can and should join in and use the Idol platform to recognise their top talents”, Pedersen explained. Of course, none of the above is possible with the continued support of iGaming industry sponsors. The iGaming Idol team was successful in securing a number of sponsors this year, making the 2018 awards celebration truly a great one. 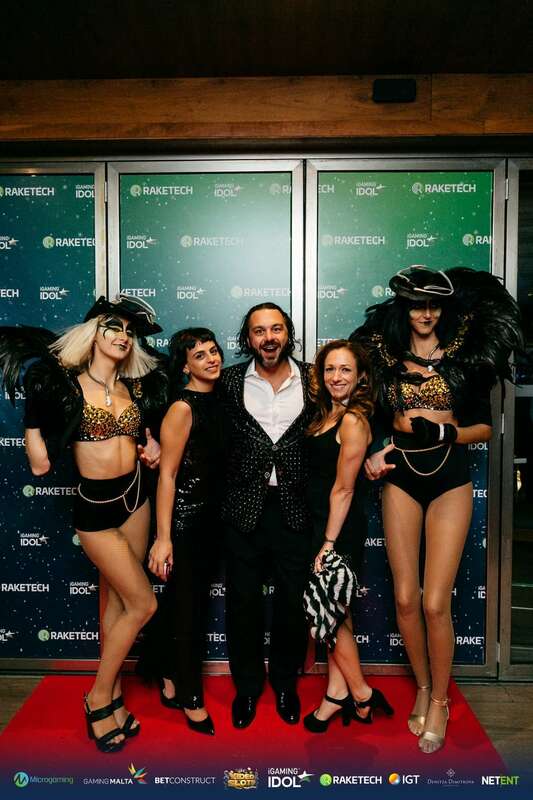 “Well, Betconstruct is sponsoring iGaming Idol, basically from the first year of starting, we saw the great idea behind this event to highlight and appreciate great employees standing behind of every successful company. BetConstruct being an international company doesn’t have many employees in Malta, although we had one nominee this year who qualified till the final and for us she’s a winner. The closing gala dinner was an amazing night, which is getting better and better each year like a good cognac”, said Kristina Hambardzumyan, Betconstruct’s Regional Director Malta. “We were delighted to be headline sponsors of this year’s iGaming Idol, which was bigger and better than ever. The new venue worked really well and, as ever, it was very well organised. For an employer like Videoslots it’s always important to support events which are focused on the talent in the industry, particularly here in Malta where we have our headquarters. Congratulations to all the finalists and winners – and we look forward to seeing them again next year”, said Videoslots CEO Alexander Stevendahl. “We decided to sponsor the iGaming Idol because we think it’s important to recognize and award the talent in the industry and IGT wants to be in the forefront supporting it. I found that the evening was very well organised and one of the best award shows I have attended in the industry. iGaming Idol and how the judging process is set up is something we need more in this industry as it’s transparent and seems fair towards the candidates unlike in some other events where you have no idea how the winners were decided and there’s a common perception that who pays the most, wins the awards and at this event it’s clearly not the case 🙂 “, shared Anna Makela, IGT’s Head of Marketing. “We were proud to sponsor iGaming Idol 2018. It’s a well-organized and well-hosted event that brings together everyone in the iGaming industry. We can’t wait for next year!“, said the team from Trustly, iGaming Idol’s dinner sponsor. There are so many fond memories from iGaming Idol 2018 yet I’m sure some of the fondest reside with the gracious winners who were all beyond excited when their names were announced. This type of reaction is a symbol of just how competitive the judging process is and what an honor it is to receive an award of this caliber. “To even be nominated on the category of Outstanding Contribution to the iGaming Industry was such an honor -let alone winning. It was a magical night that I will cherish for the rest of my life… still I get to enjoy displays of affection and congratulations from my peers, team members and friends in the industry. iGaming Idol awards serve an important role, both in discovery for those watching and as a platform for those telling a story – innovating. They give the protagonists, ingenious and pioneers the attention they deserve, ultimately making the industry a much more interesting place”, shared Ivonne Montealegre of The Malta Poker Festival, recipient of “Outstanding Contribution to the Industry”. “So the evening of the iGaming Idol awards comes and upon entering the venue seeing the glittering crowd, representing the finest from the online gaming industry, I was thinking something wicked this way comes. But it could not have been a greater night, for GiG particularly, with so many finalists and winners, including myself winning the 2018 Sales Idol I felt like a night-blooming flower. Now the question is how to top this?”, gushed Roger Admeus of GIG. For a full list of the winners and more details on the night, please visit the iGaming Idol PR. For more pictures from the awards and after party, please visit the iGaming Idol Facebook Page.